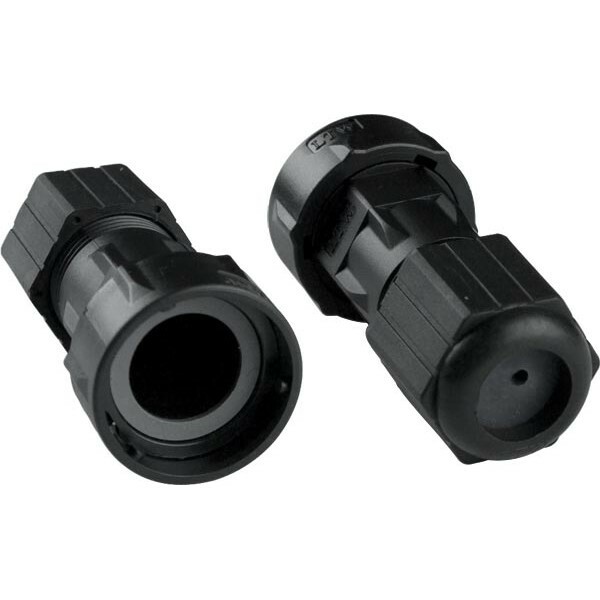 Waterproof for harsh industrial or outdoor environments. 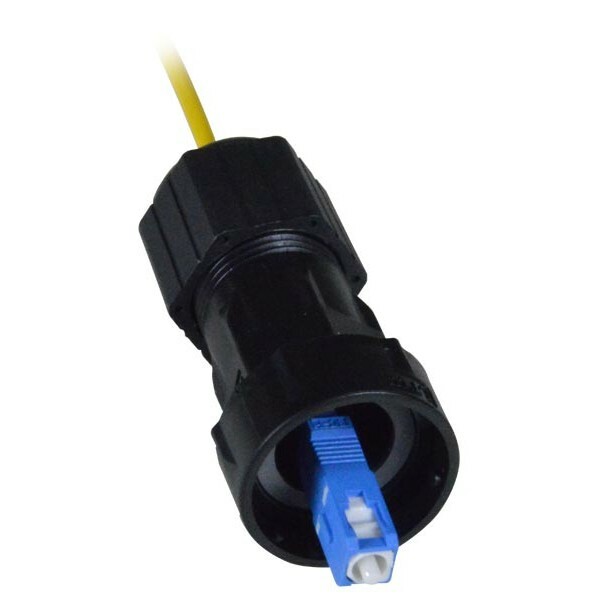 Simply slide on the waterproof cable gland to a cable for each end that needs waterproof protection, and terminate the cable using a simplex SC connector. Quick-release quarter-turn bayonet locking to panel mount connector. Cable side shroud protects cables from water and dust. Gasket seals provide IP67 rated water tight and dust free protection. 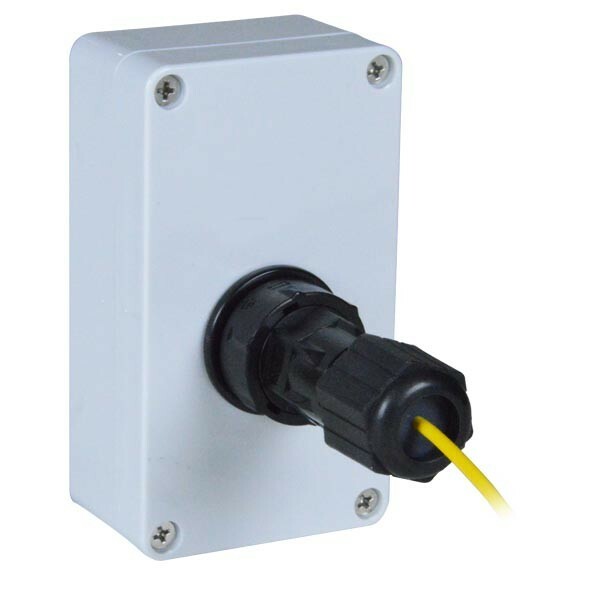 Requires FIBER-S-SC-WTP-CS case side panel mount connector for complete connection.